Looking Glass Lounge Temporary Closed Due to Small Fire | Park View, D.C. 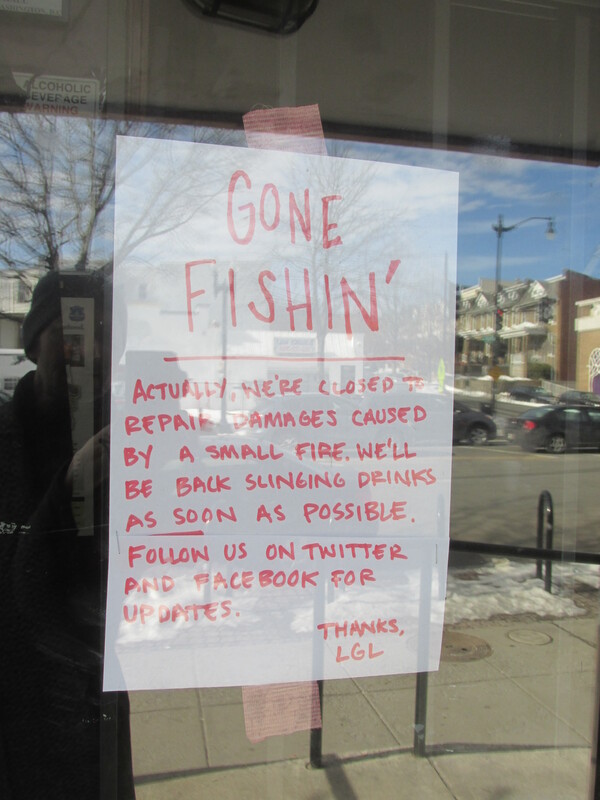 According to a sign on the Door of Looking Glass Lounge, they are currently closed to repair damage caused by a small fire (see sign below). Wishing them all the best and a speedy return to business. This entry was posted on January 30, 2016 at 5:49 pm and is filed under Restaurants. You can subscribe via RSS 2.0 feed to this post's comments.